Meets ANSI standards for impact and penetration resistance. 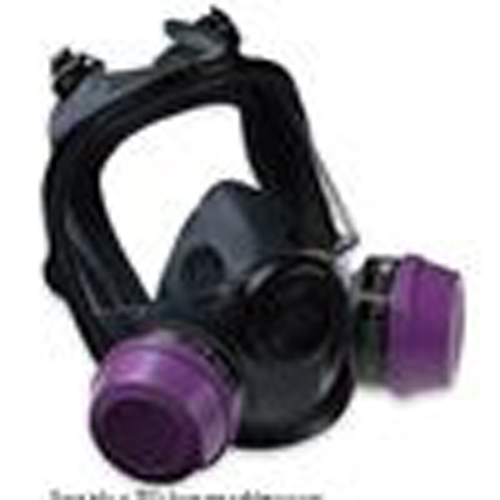 Soft, pliable elastomer material for the face piece seal provides high chemical resistance. Hard-coated polycarbonate lens provides over 200 ° field-of-vision, gives excellent optics and is scratch-resistant Available in small or medium/large.